Innovative media and membrane filtrations systems have become increasingly common for treating stormwater runoff. 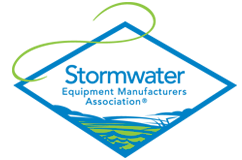 Generally, filters tend to be more effective at removing common stormwater pollutants than settling technologies such as hydrodynamic separators and are commonly utilized as standalone practices or as polishing systems in treatment train configurations. While performance varies by media type and gradation, filters are known to effectively capture finer sediments and some media also effectively target dissolved pollutants such as metals and phosphorus. Manufactured filtration systems are usually housed within rectangular vault or round manhole structures. Many technologies incorporate sumps or chambers to encourage sedimentation within the structure in order to reduce loading on the filtration media or membrane which reduces the overall maintenance frequency and cost for the technology. Manufactured filtration systems often utilize a customized gradation of filtration media or porous membranes to remove stormwater pollutants. Common media include expanded perlite, zeolite and sand as well as other specialized media to target soluble pollutants through chemical processes. Media is generally housed in removable cartridges or compartments within a concrete vault or manhole structure. Flow enters the system and passes through the media where solids are physically filtered from the flow stream and soluble pollutants attach to specialized media. Performance of media filtration devices is highly dependent on the gradation, depth and type of media, the hydraulic loading rate and pollutant characteristics. Media filters utilized for stormwater treatment are able to remove fine silt particles as well as soluble metals and nutrients. Finer gradations of media are capable of removing more pollutants, but must operate at a lower hydraulic loading rate to avoid premature clogging and excessive maintenance. Many media filters can treat higher flows than they are commonly designed for in practice for short durations, but it is essential that longevity is considered when designing media filters to avoid frequent maintenance requirements. Generally speaking, filters tend to require a larger foot print than other flow through treatment practices because of the need to maintain lower hydraulic loading rates to ensure both performance and longevity.